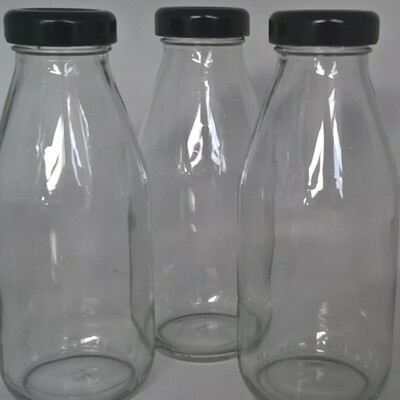 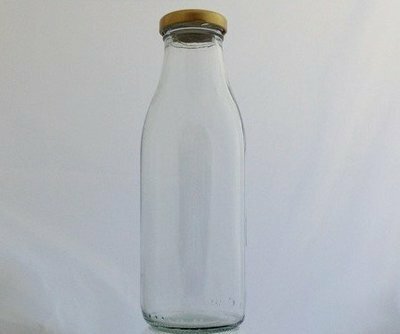 Vintage style glass milk bottles with a black, silver or gold twist off cap. 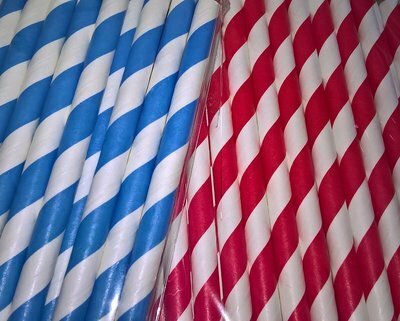 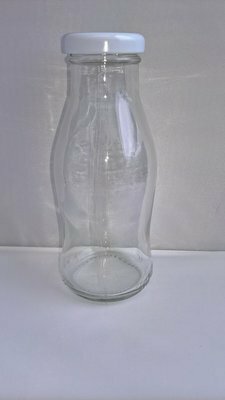 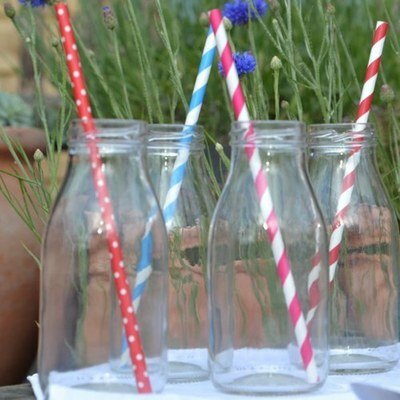 These milk bottles are now available with vintage paper straws in either Red & White or Blue & White coloured stripes..
Fabulous looking glass bottles. 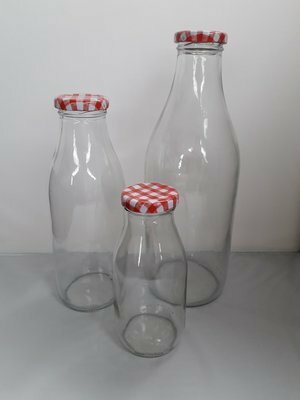 Perfect for wedding favours, baby showers, sweets, milkshakes, sauces and dressings or just for putting flowers in.